Released worldwide November 2014 as a DVD or a Deluxe CD/DVD edition. Nice package! (Fnaar.) David Coverdale has helped put together a special DVD / CD to mark the thirtieth anniversary of the release of Slide It In. It’s an important release in that this is the first archive effort from the band to include elements of the classic line-up – until now David has noticeably stayed clear of any meaningful releases which hark back to this early era of the group. The Slide It In tour kicked off in February 1984 in the UK (reviewed at length in DTB Issue 29) then covered much of Europe before rocking up in Scandinavia in April. The line-up featured apart from David, Mel Galley on guitar, Jon Lord on keyboards, Cozy Powell on drums, Neil Murray returning on bass and new boy John Sykes on second lead guitar. It was certainly a defining moment for the group, and marked a move to a harder edged sound which promised much. But it was also a period of turmoil, with Coverdale looking toward America for a lead in his career. Jon Lord was compromised on a couple of fronts; firstly he was becoming disillusioned with his role in Whitesnake, and secondly the Deep Purple reunion was bubbling away in the background – a question now of when not if. The group then dropped down to a four piece with a hidden keyboard player and embarked on a longer tour. When I say longer, we’re talking something like four months almost non-stop, the bulk of the shows being a prolonged slog around America, occassionally as headliners, other times supporting the likes of Quiet Riot and Dio. This was broken by a batch of half a dozen Super Rock Japan events in August. Two of these shows were filmed and one forms the centrepiece of this new release. And while this is good news for most of us, the show has circulated widely on pirate for years, having been released in Japan on video not long after the event. The show was broken up by interviews on one pirate version, hopefully they’ve stripped those out and bundled them as an extra. Keyboard player on these gigs was the mysterious Richard Bailey, who had to play hidden behind a curtain for some reason known only to David. It’s not unheard of for bands to do this, but always struck me as supremely insulting. The Slide It In tour marked the end of the first chapter of Whitesnake, after which the band was broken up. By the time they reappeared three years later only David Coverdale remained, and even he was hard to recognise! The DVD is released as a stand-alone release or in a deluxe edition which includes the DVD and a bonus audio CD. This CD has selected tracks from the festival, alongside a wedge of material sourced from unknown bootleg sets. Hopefully these will be properly itemised on the packaging. The DVD also has a selection of unseen photographs and some snippets of album demos. So, perhaps not the fan package we might have hoped for (there are other media performances out there from the time) but a step in the right direction. As for the actual package, they’ve fallen back on the same sort of graphics which has adorned all the recent releases – anyone hoping for the classy sleeve imagery of Slide It In itself will be disappointed. Also disappointed is Neil Murray who has taken to social media to ponder why he doesn’t get paid for any of his input to the music. Check out our Whitesnake family tree for more details. Live tracks from uncredited 1984 bootleg recordings: Gambler / Guilty Of Love / Love Ain’t No Stranger / Slow An’ Easy / Walking In The Shadow Of The Blues / Ready An’ Willing / Guitar Solo – Crying In The Rain – Soldier Of Fortune. Super Rock Japan 84: Love Ain’t No Stranger / Ready an’ Willing / Slow an’ Easy. Sweden April 1984 (Lord’s last show) : Gambler – Guilty of Love – Love Ain’t No Stranger – Ready an’ Willing. Thanks to Matthew Kean, David Browne, Tim Summers for rattling my cage. 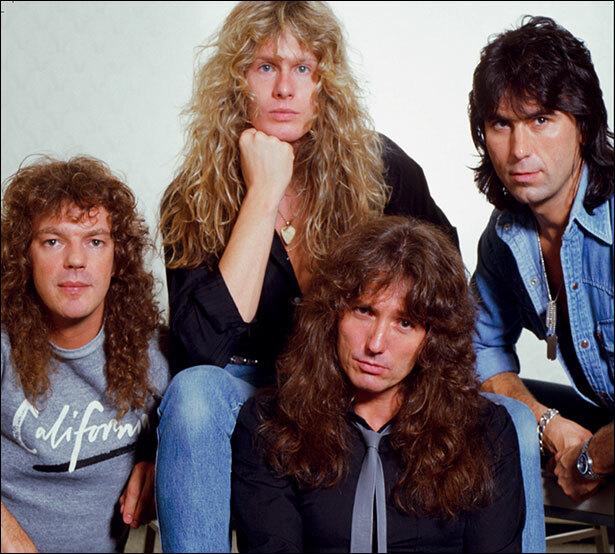 Isn’t it good to be talking about real Whitesnake again after how many years? I only got to know David Coverdale’s music very recently and it has been a true revelation for me. What a wonderful, bluesy, powerful voice he had! And what an on-stage persona. He positively channels the music, he feels it, makes it come alive. So sad I could not have seen him perform back in his prime (was only a toddler in ’84!). So for me this CD/DVD was a gift from heaven. Was really blown away by the Tokyo performance on the DVD. The band is on fire, and so is Coverdale. By the time he gets to ‘Slow an’ Easy’ and then ‘Crying in the Rain’, the roof is coming off! Maybe for long time fans this is all ‘been there, seen that’ sort of stuff, but for the ‘newbies’ like me, it´s absolutely to die for! More vintage releases like this, please, David. A solid Five stars in my book! You should’ve seen them in 1979 / 80! Wish I could have… Found some stuff on youtube, but if you have anything you can recommend: always interested! 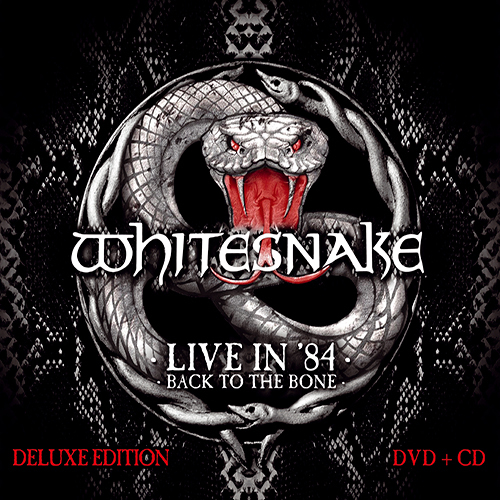 I’ve really enjoyed watching and listening to this collection – the three songs Whitesnake used to open with in those days are fantastic – and we get them three times here! What about the Rock-In-Rio show from 1985? Broadcast by Brazil TV at the time. As far as I understand it was also the very last show that lineup did. Interesting. I did suggest this to Eagle as a DVD some years back but they didn’t get anywhere. The show in Sweden was filmed live at the Grand Hotel in Stockholm and used for a TV program called Mandagsborsen which aired live on mondays from 1979 to 1984. They usually had a couple of artists on each show doing interviews and/or playing a few songs. As it was not a regular concert for Whitesnake I do not think that they did more songs on this night. They did a regular concert at Johanneshovs Isstadion in Stockholm two days earlier. 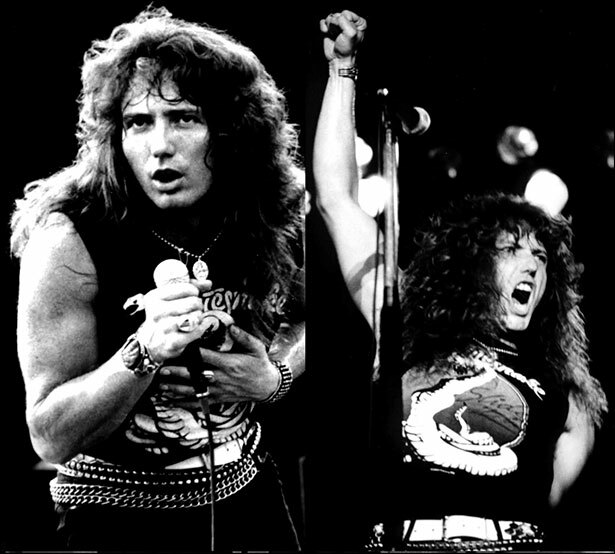 Whitesnake did a blinder of a set in Glasgow in 1984, partly broadcast by Radio Clyde. I wonder if they recorded and archived the whole show. I wonder even more if any record company personnel or indeed DC would go to any trouble to hunt this down and license it properly. And who says the 31st anniversary of Ludwigshafen ’83 is no reason to release that show? DP’s Live in Japan was a 21st anniversary set in 1993 and I for one didn’t complain. Credited means date / venue given; so far this information is lacking. I’ve often wondered about these two rare line-ups, as all things being equal I should have seen at least the latter 4 piece at Newcastle City Hall in Jan 1988 (rescheduled from late 87!). The 1988 live spangly/hair metal incarnation did not really do the 1987 LP justice to me and it was if all before was forgotten. I noticed many grumbles from others at the gig bemoaning the lack of old faces. However, I don’t think I’ve ever seen a crowd go so nuts for any band before or since. It appears to me that we are being treated to well-known material. Those are indeed the four songs from the Swedish TV show, 16 minutes in all. Not really something to get too excited about. I thought the show from two days before was one of the most exciting Whitesnake shows ever, with Jon Lord and John Sykes battling with excellent solos. Sykes’ dislike for Lord’s Hammond sound was well-documented and Lord regained some musical freedom through Galley’s absence. The shows without Jon were so much weaker, of course. I find the Tokyo material really hard to watch and listen to, sound being an issue but also the interview snippets. A while ago a video of one of the two Tokyo shows (11th & 12th) was doing the rounds which had the whole show and none of the interviews. So, obviously good source material exists. The question is if the record company went to the trouble to dig that out and properly license it. I have my doubts, speaking from experience with other releases. The “uncredited 1984 bootleg recordings” might come from a live show in Spokane, Washington, on July 24th which was recorded for the Westwood One radio network. Yeah, so what about a pristine copy of Ludwigshafen ’83 or even better some classic Whitesnake stuff from the Coverdale-Lord-Marsden-Moody-Murray-Paice line-up? Ludwigshafen 83 is indeed a cracker at times, but I think the idea was to concentrate on the Slide It In anniversary year here. I agree it seems to go for the easy options and fans will have more ideas, but on the other hand there will be lots of Whitesnakers out there who are less familiar with this material. The uncredited 1984 bootleg IS Spokane. I love this period of the band as Sykes gave them a harder edge than the band had previously, while not sacrificing the early blues influenced WS feel! I wonder if the Jap footage is the ‘Day’ or ‘Night time’ performance as I have had both on bootleg DVD for some years now? Two shows were professionally filmed a day apart, one during daylight, one night time. I would think more of the Swedish show was filmed.. just 4 songs? I have some of that on dvd as well some where but it is quite short also. Still, worth getting just for posterity as Jon’s last show!